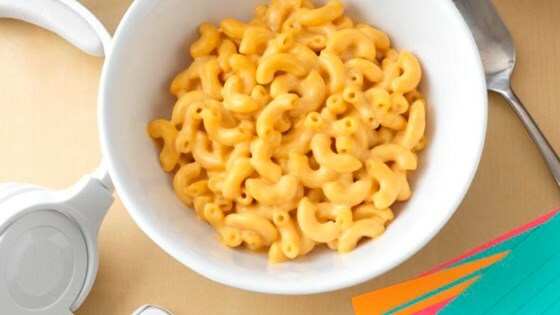 "Mac and cheese doesn't get easier than this recipe using Ready Pasta Cut Macaroni in combination with Cheddar cheese and heavy cream." In a large skillet, heat the heavy cream until it simmers. Season with salt and pepper. Tear Ready Pasta pouch open and add pasta to the skillet; cook for one minute or until the pasta is heated through. Remove the skillet from the heat and add the cheese; gently stir until the cheese has melted into the cream.